Biological Oscillators: Their Mathematical Analysis introduces the main features of the dynamic properties of biological oscillators and the mathematical techniques necessary for their investigation. It is not a comprehensive description of all known biological oscillators, since this would require a much bigger volume as well as a different type of expertise. Instead certain classes of biological oscillators are described, and then only in as much detail as required for the study of their dynamics. 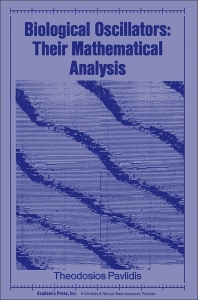 The opening chapter reviews fundamental mathematical concepts and techniques which will be used in the remainder of the book. These include phase plane techniques; asymptotic techniques of Krylov, Bogoliubov, and Mitopolski; and the describing function. Subsequent chapters discuss examples of biological oscillators; phase shifts and phase response curves; the entrainment of oscillators by external inputs; the dynamics of circadian oscillators; effects of changing environment on the dynamics of biological oscillators; the features peculiar to populations of interacting oscillators; and biological phenomena attributable to populations of oscillators.